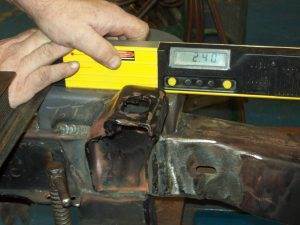 Select Motors offers custom chassis building & suspension modifications along with repair. 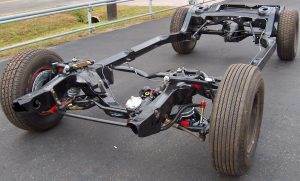 Your existing chassis can be upgraded with the many suspension upgrades available on the market.. We build custom chassis with weld-in subframes offered by Fatman Fabrication, Heidts Hot Rod Shop and many other chassis component manufacturers. 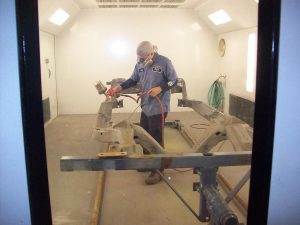 We repair rust and collision damaged frames and unibodies with custom fabricated patch panels. 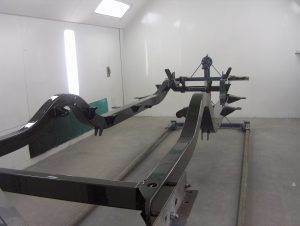 In some cases a complete frame replacement can be performed. 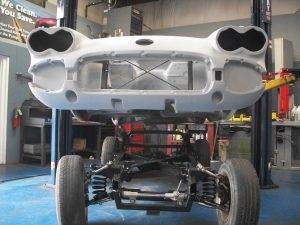 This process involves lowering the existing frame out of a vehicle and replacing it, while the majority of the vehicle remains intact. 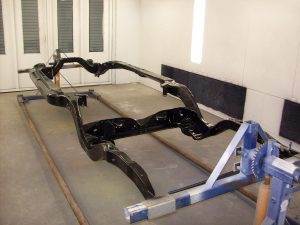 The chassis builders at Select Motors offers a wide variety of services to satisfy your needs on either original or custom chassis and suspensions. We can tune factory suspensions with bolt-on modifications such as tubular control arms, adjustable rear suspension control arms, CalTrac suspension components and make ride height and spring rate adjustments. 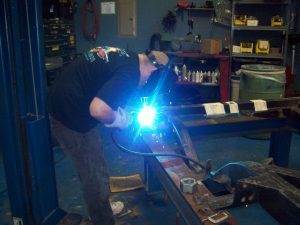 Most of the street rods we build begin on our chassis jig. 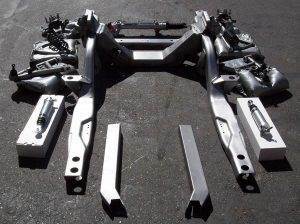 Some of the more popular chassis modifications include Fatman Fabrication frame clips and Heidts Hot Rod Shop IFS crossmembers. 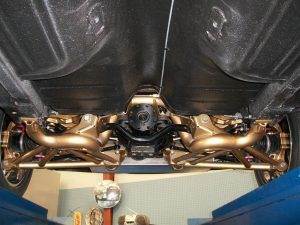 We build a variety of four-link rear suspensions and set up vehicles on coil springs, leaf springs, coil over shocks and with air ride suspension. 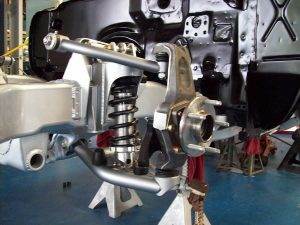 Select Motor Company at 318-640-4584 for any chassis or suspension modifications or repairs.